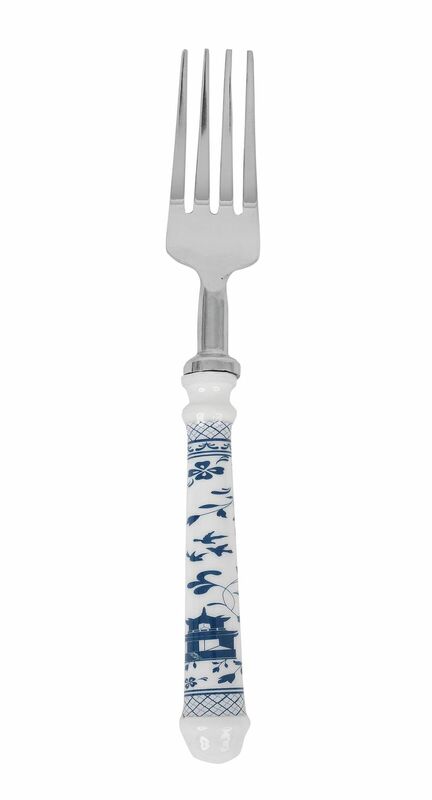 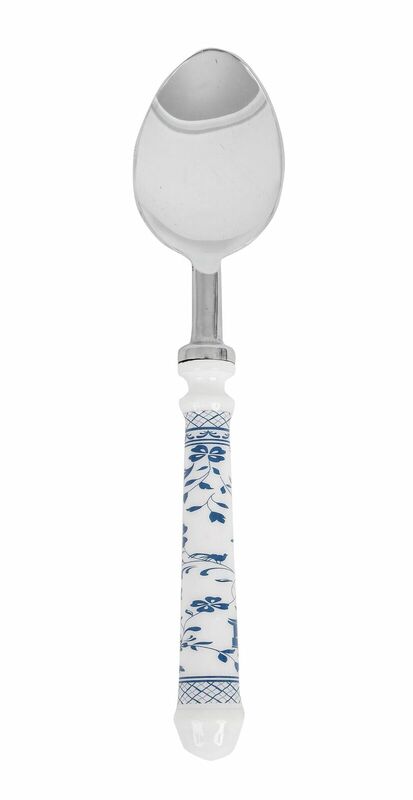 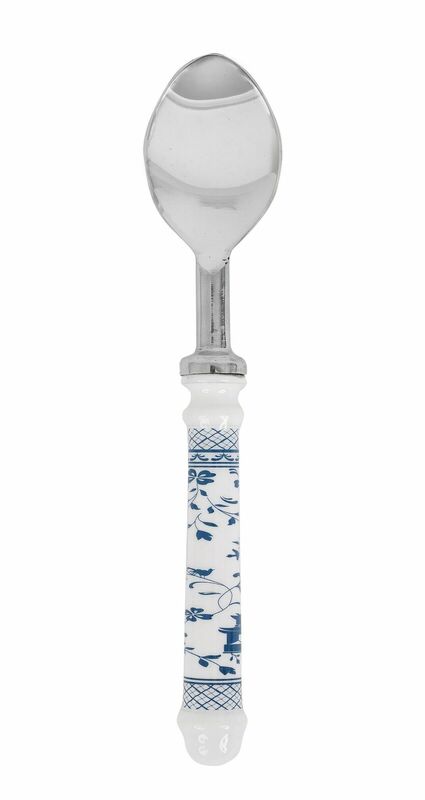 Features a beautiful painted/enameled handle with stainless 18/10. 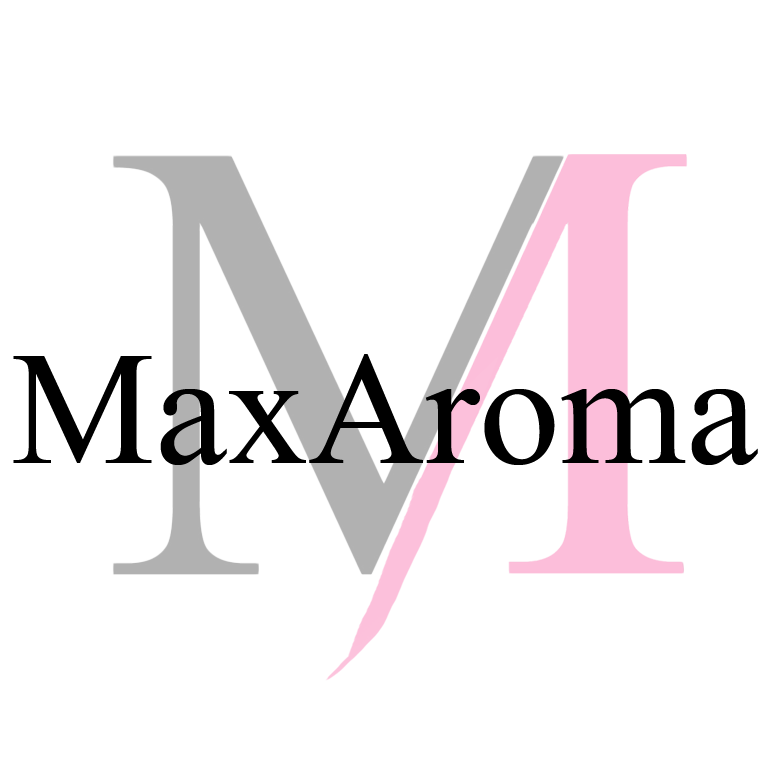 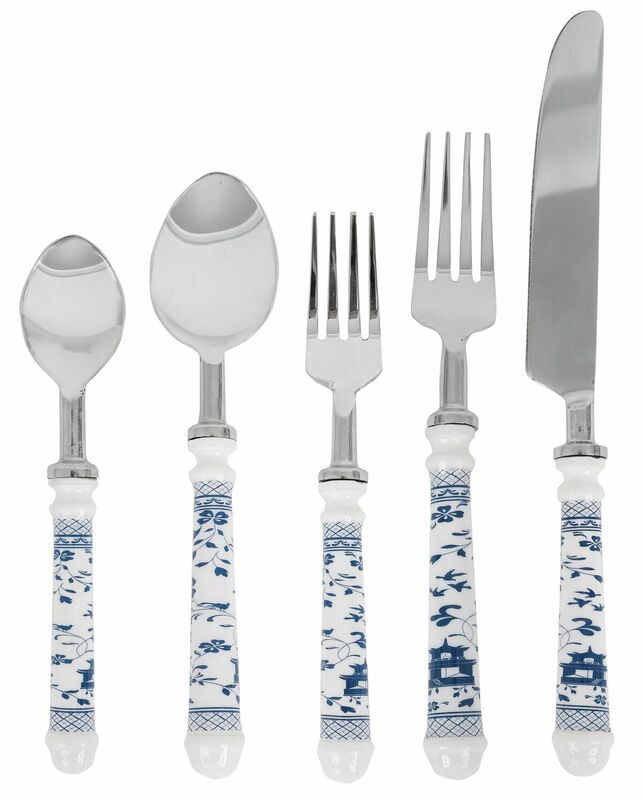 Sold in five piece place settings which include dinner fork, salad fork, knife, soup spoon and teaspoon. 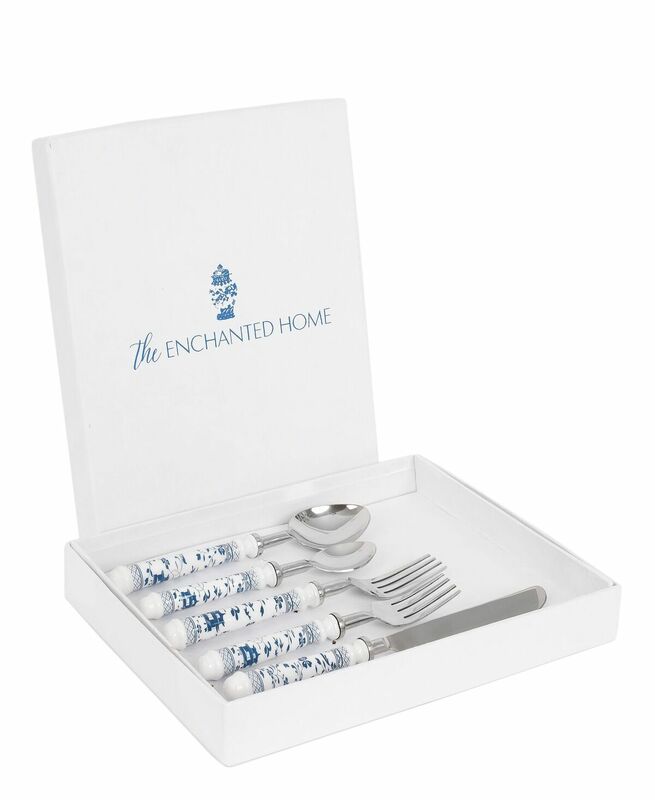 Each place setting includes a gorgeous Enchanted Home gift box!